As part of the service that we provide, we look at your Mortgage either historically or current and produce a Mortgage Assessment based on the information you provide, by answering a number of Mortgage related questions. This will potentially highlight any possible areas of concern with your Mortgage. The Assessment is then passed to a Mortgage Expert Witness to give his Opinion on it. This should NOT be regarded as advice on your Mortgage. The initial stage is for you to simply receive an assessment which would be to establish quantum (any potential loss) and you then make an informed choice of the 4 options available below. Once you have given your ‘Authorisation to Proceed’ and returned your ‘Letter of Authority’ we would acquire your DSAR file from your lender and look to gather the FACTS behind the potential claim. With the DSAR fit for purpose, we would prepare your potential claim and request a 2nd Stage Report from the Mortgage Expert Witness. The 2nd Stage report will look for further financial information and should provide you with the potential loss that you may have incurred. It is a more substantial report than the ASSESSMENT and needed if you wish to proceed to make a claim against any Mortgage advice given to you in the past. Once you have received both reports, and you have identified that there is a potential claim with a loss established, then this is when the Mortgage Review could potentially become a Claim. Your Claim will be presented to our panel Solicitors, for them to establish and decide if they want to go forward to Litigation. The Solicitor charges a success fee of 20% plus VAT which will be charged on any monies claimed back. This process may take up to 24 months or sometimes longer. CERTAINLY, NOT ALL MORTGAGE REVIEWS BECOME MORTGAGE CLAIMS AS QUITE OFTEN NO LOSS CAN BE ESTABLISHED. IN OUR EXPERIENCE THE MAJORITY OF MORTGAGE REVIEWS DO NOT BECOME A CLAIM BUT ARE A REVIEW THAT SIMPLY LOOKS TO IDENTIFY IF THERE ARE ANY POTENTIAL ISSUES. 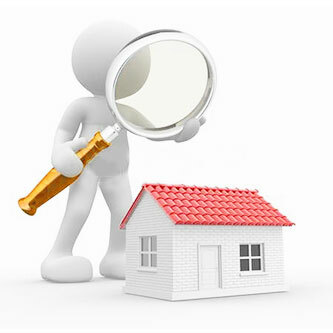 If you would like to enquire about the Mortgage Assessment or make use of one, select Quote now.